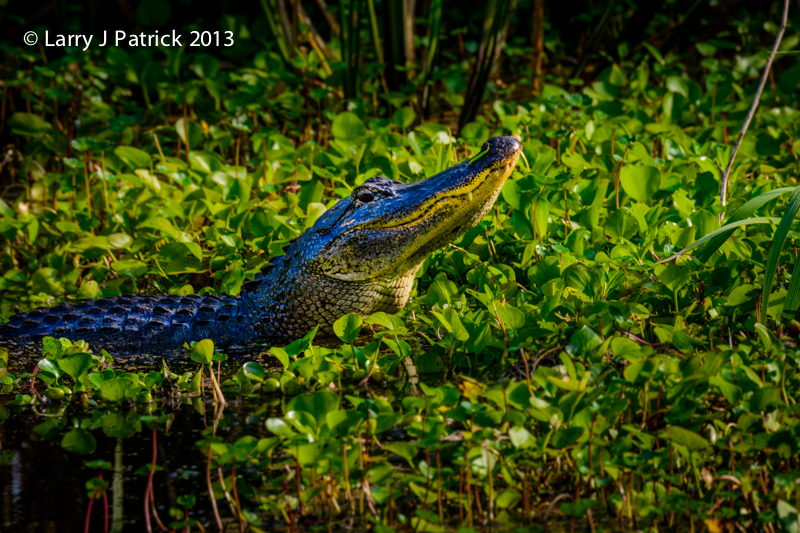 You cannot go to Brazos Bend State Park and not come back with a few photos of alligators. 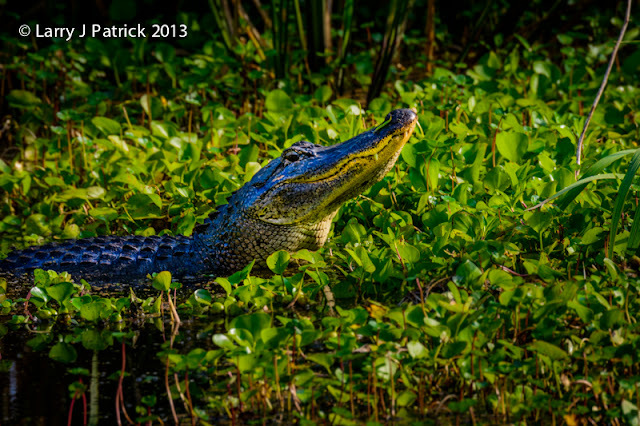 In reality, alligators are not really that exciting to photograph. Still, I always photograph them when I am at the park. This young male alligator was lifting his head out of the water and roaring. He was in a vocal war with an older and much larger alligator. I wanted to capture him coming out of water and doing “his thing”, but I also wanted to create a little mood to the photo. Luckily, he swam from the shade to a pocket of light. So, I waited until he got to the light and took about ten shots of him in the light. To me, this photograph is as much about the light as it is about the alligator. Camera settings: Nikon D800 (DX format), 80-400mm f/4.5~5.6 at 600mm (effectively), ISO 400, f/8 at 1/350th of a second on a tripod. Lightroom 5—applied Nikon Vivid preset during import, set white and black points, added clarity, sharpness and vibrance and burned top and bottom of photo using the adjustment brush. I can just hear the deep growl. You caught him with a smile on his face. Like the surrounding that frames him. I like how the light hit him. David is right, he has a smile on his face. Not your normal alligator shot.